The short answer is that you should use the tether for outdoor applications — where excessive wind and G-force could cause movement of the device within the RAM® X-Grip® cradle — and whenever you feel the need to secure your device further. For this next gear review, we’re here to talk about the tether – that’s this little rubber piece that comes with the RAM® X-Grip® from RAM Mounts. Now quite a few people have been writing into us [and asking] “When should we use this tether? And when not to?” So we’re here to answer a few of your questions. 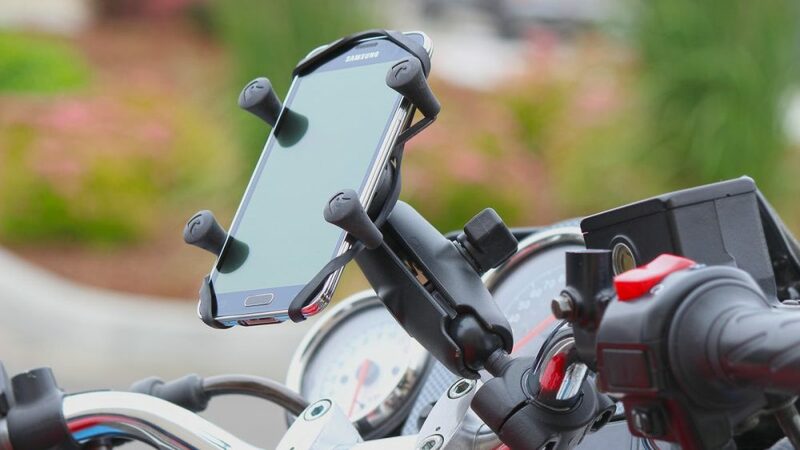 If you’re riding a motorcycle, I would say use the tether at all times – especially one with an open cockpit. If you’re [driving at] high speeds, use the tether. If you’re going trail riding or off road, use the tether. It just secures your device to the RAM® X-Grip® even further so you have total peace of mind while out on the road. Now, you can put the RAM® X-Grip® inside a vehicle since there are those options from RAM Mounts. So if you’re traveling inside a vehicle with a car or a truck or whatever – and you’re just on the normal freeway – you’re not going to need the tether at all. But if you turn off the freeway and you’re going to get off road and it’s going to get bumpy, then secure your device with the tether. So in a nutshell, if you want to secure your device even further, use the tether. Every RAM® X-Grip® comes with the tether, but if needed you can also purchase an extra.